As I was going through the collection of in house, I realize there’s so many I take for granted. That’s not a good thing. These teas, even though many are natural, do have an expiration date and do go bad. 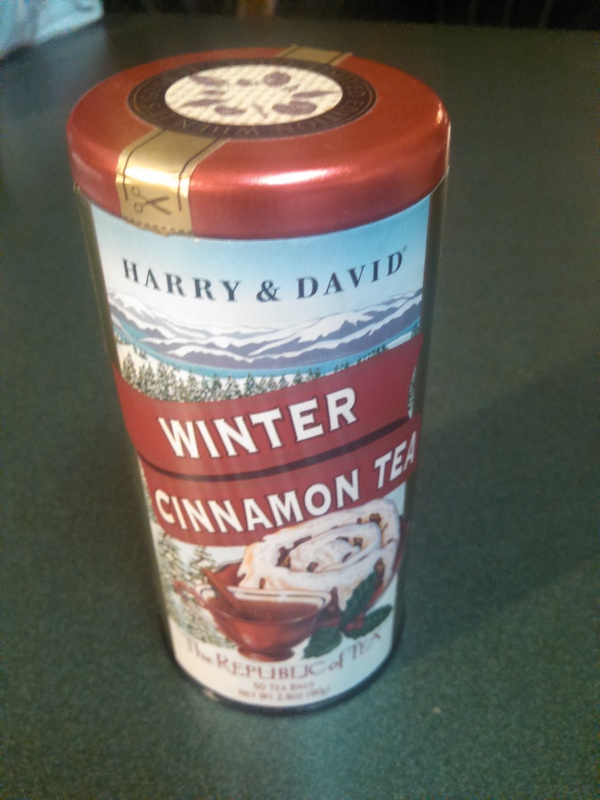 This is not the case with one of my sentimental favorites, the Winter Cinnamon Tea from The Republic of Tea via Harry & David. Try saying that last sentence a few times over. And as I promised in a previous post, I wanted to talk about other cold weather goodness. The benefits of cinnamon are plentiful and are unlimited. I’d like to thank my dad for teaching me all the positives of this incredible spice. It has always been a guide for me in the healing process. So what better thing to have is my merging it with black tea to make something special. I know the holidays are over but in the cold weather months, this is a bundle of joy, that can do no wrong. And most importantly, it’s delicious too! It tastes like a cinnamon sticky bun, but not too sweet. It still tastes like a tea after all, but you know your getting a natural sweetness added on to it. Isn’t that a beauty? And our snow pals are back once again. I’ve enjoyed this cup with scones, cookies, and most recently leftover chocolates from the holidays. Why let them go to waste? 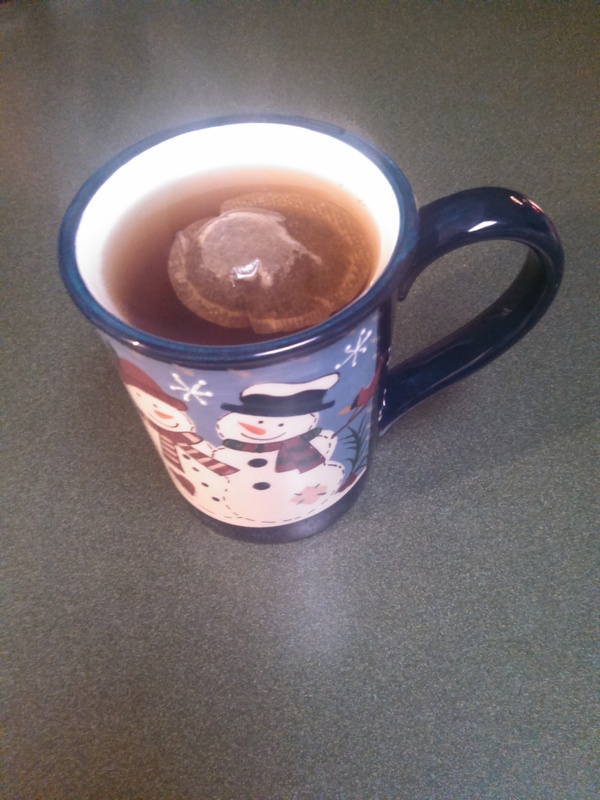 Maybe I still want to feel festive all the time and my love of tea is just a part of that. It’s about sipping on what makes you feel good. And that’s all it should be. The health benefits, along with the spiritual ones, make this a beverage definitely worth drinking, throughout the calendar year. I look forward to whatever is next. Thanks so much. Oh and go to Harry & David, it’s a wonderful place.